The City of London is the very heart of the capital, steeped in centuries of history – some directly related to fire safety. 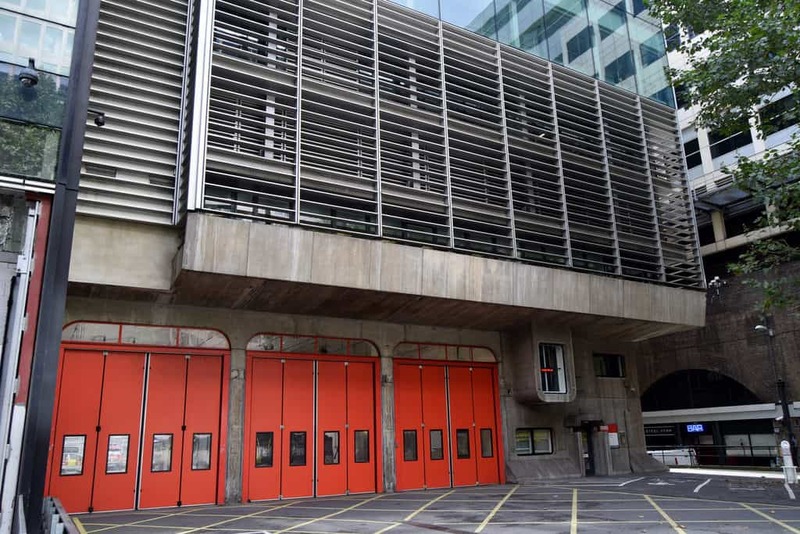 Because The City of London is the borough where the Great Fire of London famously started– the kind of event which our team of friendly fire safety engineers are keen to help prevent ever happening again! Fortunately we’re in the best possible position to help defend City of London occupants from the threat of fire. Our London-wide team helps many hundreds of local businesses protect their properties by installing and servicing fire alarms and extinguishers, carrying out fire risk assessments, and providing fire safety training, amongst other services. If you are a City of London business who needs help with your fire plans, just give us a call on 0845 845 3001, we can often arrange same-day or next-day appointments. Read about UK fire safety legislation here. Despite our name, Surrey Fire & Safety has been supplying and servicing fire extinguishers in the City of London and nearby for over 20 years. Our London-wide team of fire extinguisher engineers are all BAFE registered and work to British Standards. Whether you’re looking for someone to service your existing extinguishers, or you need extinguishers installed, we can help. We supply every type of fire industry approved extinguisher, kite-marked extinguishers only, and they come with a 5 year guarantee as standard. We’ll also fit and commission them 100% free of charge. For a free extinguisher quote, or to arrange a visit from a professional extinguisher engineer, just call our friendly team on 0845 845 3001, we can often arrange next day or even same day appointments, and will survey your premises free of charge. Read about UK fire extinguisher legislation here. For all but the most simple of premises, we would recommend installing a fire alarm as one of the most effective fire safety measures you can take. Our team of professional fire alarms engineers cover the City of London and beyond for all aspects of fire alarms. Whether your system needs servicing or repairing, you’re thinking of installing a new fire alarm from scratch, or wondering about upgrading your existing alarm, we can help. We are used to designing bespoke fire alarm systems for all types of premises, including buildings of historic importance such as those you find in the City of London, and have experience across all types of alarm, including conventional, addressable, and wireless. Read about UK fire alarms legislation here. Call us on 0845 845 3001 or email us at info@surreyfire.co.uk to speak to a member of our friendly team, arrange a free site survey, or to get a quote - we'll be happy to help. Or, if you prefer, you can arrange a callback by clicking the link below.